When you’re regularly working 10-hour days doing everything from implementing strategic initiatives to signing timesheets, how do you manage to be a leader in those circumstances? Ask any exempt staff (1) and they’ll no doubt share stories of being overworked, under-resourced, and despite the best of intentions, feeling overwhelmed and less than effective. Given this reality, beyond your personal conviction and will power to do a good job, what makes a great leader? What supports do leaders today and tomorrow need to be successful? 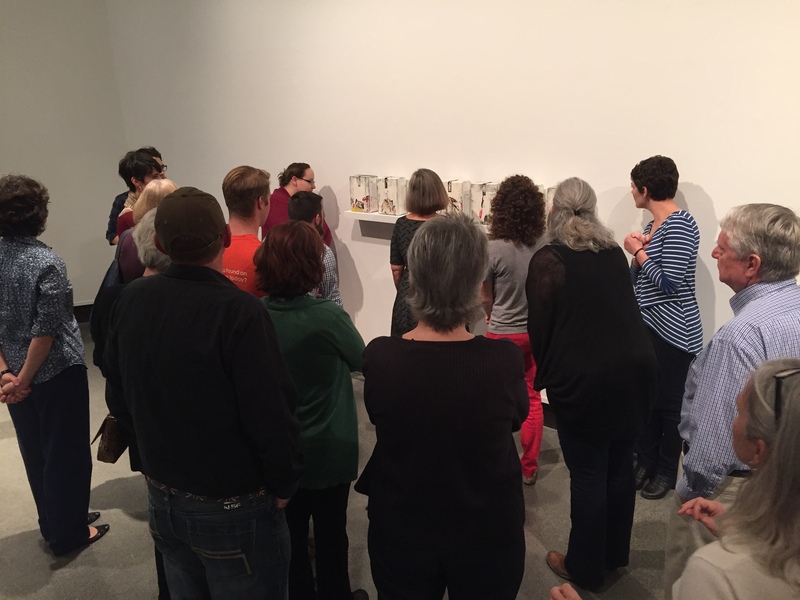 What strengths and skills can museum educators bring to leadership roles? Build time into our practice, as individuals and as teams, for reflection. Given the theme of the convention, use Design Thinking to test, prototype, and create solutions as staff through an iterative process. Books recommended were Coaching Skills for Non-Profit Managers and Leaders and Managing to Change the World. Create interdisciplinary teams and use Design Thinking to create solutions. Change takes time and is an investment – you’ll need to weather storms and stay more than two to three years at an institution. It takes courage to run with it, create a space that doesn’t exist, and ask forgiveness later, not permission. Flip authority within by trusting others with the reins. Whether you are a volunteer, intern, part-time staff, full-time staff, or a director, hold yourself to high standards while knowing your limitations. 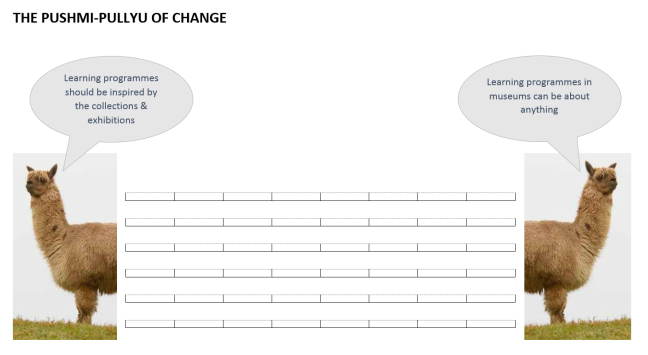 Modeling change versus talking about change is more impactful. Awareness of change leads to more collaboration, which leads to growing success and less discouragement, which generates more ideas. The book Tempered Radicals was recommended. Design thinking, Flickr photo by Cedim News. CC BY-NC 2.0 license. has vision – what if others on your team don’t share that vision? is innovative – what if others define innovation differently? is a great listener – what if others aren’t listening to you? speaks the truth – what if others don’t want to hear it? is courageous – what if your courage backfires? accepts and learns from failure – what if failure negatively impacts your job or career? What if others in your institution don’t value failure? is strategic when fighting battles – when does strategy become political and personality-driven? knows when to follow rather than lead – how do you follow when there’s a lack of trust? 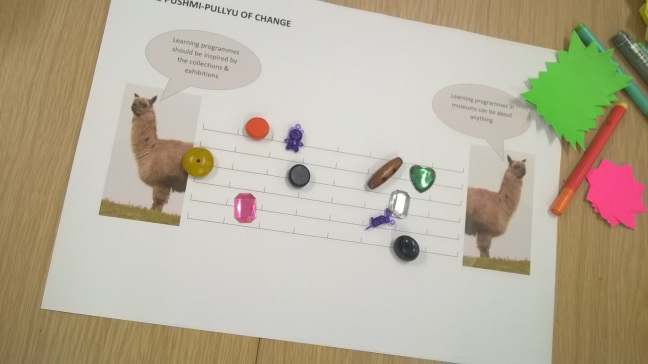 models behaviour for staff – what if staff are not receptive? For example, emerging and mid-career professionals tend to prefer flat rather than hierarchical organizational structures compared to more senior professionals. brings others along and empowers others – what if they disappoint? is a chief storyteller – what if it’s a story others aren’t ready to hear? What if your story is competing for airtime, or there’s no one to hear it? Perhaps these questions, or similar versions, have emerged in your setting as well, whether quietly or loudly. How do leaders tackle these very real, messy issues? What sources of strength, knowledge, or wisdom can we mine to support both ourselves and others? We invite your thoughts and responses to these and other questions — add to the Comments below, or share your questions via social media. The U.S. Fair Labor Standards Act determines many employment standards, including who is or is not “exempt” from overtime pay. Many museum workers are exempt from overtime pay due to their work duties. WENDY NG: Manager, Learning at the Royal Ontario Museum in Toronto, Canada, where she oversees School Visits, Traveling Programs, and the Hands-on Galleries. Previously, Wendy worked at the Art Gallery of Ontario as Coordinator, Elementary School and Teacher Programs, and other museums in Washington, DC and London, England. 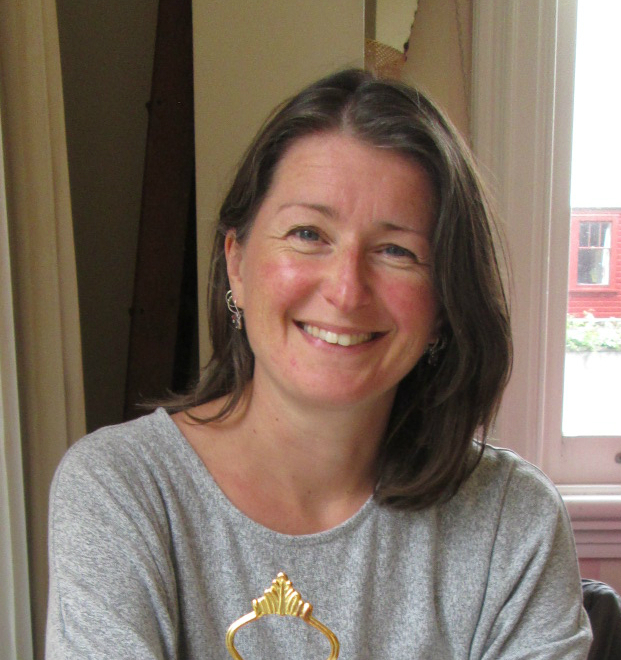 She holds a BFA and BEd from York University, a MAT in Museum Education from George Washington University, and is certified by the Ontario College of Teachers. RACHEL TRINKLEY: Director of Education for Explore! Children’s Museum of Washington DC, a new children’s museum being developed for the nation’s capital. Prior to joining the museum, she worked at the Freer|Sackler Galleries, Smithsonian Institution, and at the Columbus Museum of Art (Ohio), where she managed the docent program and served as Assistant Director of Learning. She holds a BA from Saint Mary’s College, Indiana, and an MA in art history from Ohio State University. Header Image: PopTech Flickr photo, “2010 PopTech Science and Public Leadership Fellows,” CC BY-SA 2.0 license, no changes made to photo. Check out the Art History Pedagogy & Practice e-journal hub at Art History Teaching Resources (AHTR), and read the linked White Paper. AHTR is a peer-populated platform for art history teaching content including lesson plans, book reviews, image clusters, and classroom and museum activities. Slated to launch in Fall 2016, Art History Pedagogy and Practice is a new academic peer-reviewed journal devoted to pedagogical research in art history. Inspired by discussions at the College Art Association in 2015 and supported by a Digital Projects Award from the Samuel H. Kress Foundation, ArtHistoryTeachingResources.org (AHTR) began this initiative in response to the lack of scholarship of teaching and learning (SOTL) in the discipline. 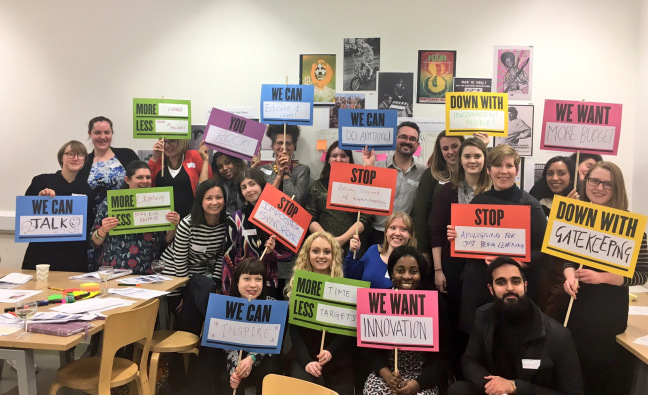 The idea was to build on the success of the AHTR Weekly as a popular forum where practitioners already share their experiments and ideas about teaching art history in a range of learning environments. Over the summer, AHTR worked with the research firm of Randi Korn & Associates to conduct a survey that revealed significant interest in this project. 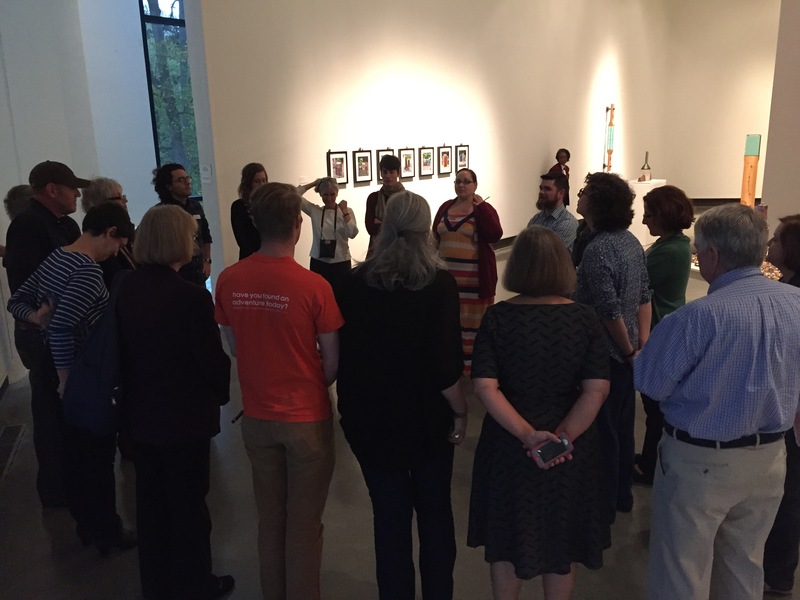 AHTR is excited about the potential of Art History Pedagogy and Practice to build bridges connecting the traditionally siloed community of academic art historians to others involved in SOTL, museum education and art education at the K-16 level, and the digital humanities. AHTR recently launched an “e-journal hub” where regular updates will be posted about Art History Pedagogy and Practice, along with information and resources about SOTL and best practices in educational research. As we move forward in this endeavor, we encourage visitors to visit the site to provide feedback and comments about the project. While art historians in higher education devote extensive amounts of time, effort, and energy to the job of teaching, the attitude persists that this role is separate, or even a distraction, from the primary responsibility to contribute as scholars in the field. 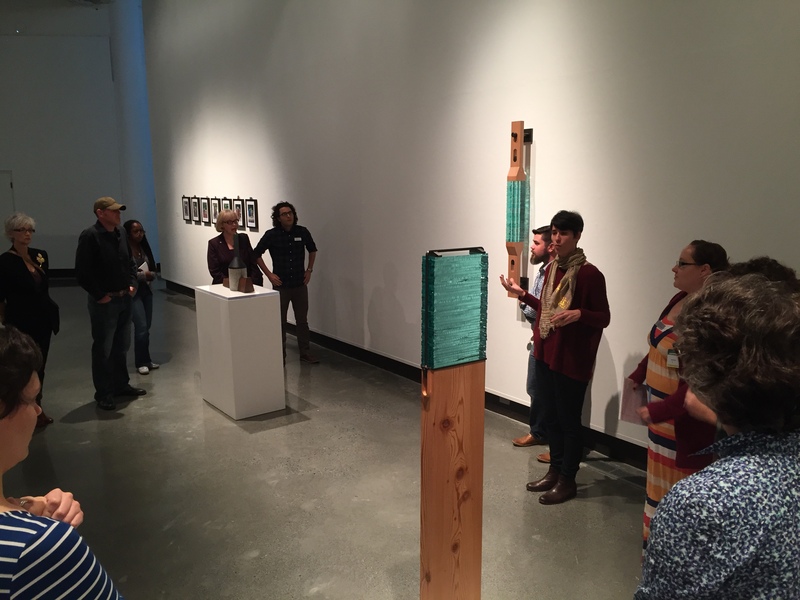 Maintaining the duality of teaching and scholarly activity devalues the crucial relationship of pedagogical practice to art historical study, and precludes the potential for research in teaching and learning to have significant impact on the discipline itself. In order to realize this potential, the scholarship of teaching and learning in art history (SOTH-AH) must be acknowledged as a legitimate area of intellectual inquiry by the institutions and communities encompassing academic art history. A peer-reviewed journal devoted to SOTL-AH would facilitate this process by providing scholars a space to share research on pedagogical topics, and encourage further academic investigation and discourse around teaching and learning in art history. This white paper identifies the need for SOTL-AH based on a recent survey of art historians in higher education and a review of current literature addressing pedagogical topics. It considers the impact an academic journal devoted to this topic would have on the art history and related fields that include study of visual and material culture. As a solution to the lack of SOTL-AH, Art History Teaching Resources (AHTR) began Art History Pedagogy and Practice (AHPP), a peer-reviewed e-journal, that will advance and disseminate academic research on art history’s pedagogy. This initiative builds on the community and pedagogical inquiry AHTR has developed since its launch in 2011. AHPP will be housed on Academic Works, CUNY’s Digital Commons repository as an open-access publication that will impose no subscription or contributor fees. Check the AHPP e-journal hub for updates about the e-journal and to learn more about ways to become involved with Art History Pedagogy & Practice.